Living life by a clock is not always easy. In fact, it can be quite difficult when you are a sensitive and caring massage therapist often dealing with clients suffering from stress and pain. But like all good things, a massage session must come to an end … preferably when the schedule says it should. For some very good reasons. 1. It hurts the therapist. 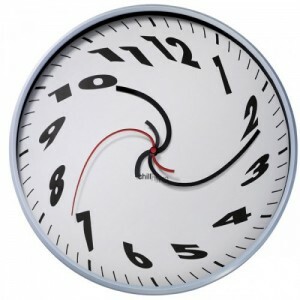 Going late on a regular basis is usually overworking your body and cheating yourself of needed financial compensation. 2. If you work for someone else, it hurts your employer. If that extra 20 mintues is not being paid for, you’re not the only one losing potential income. 3. If you work for a clinic or studio, it hurts your team. Clients may come to expect extra time from all the therapists. And if you’re doing part of a “couple’s massage” (in this case two people coming at the same time with sessions in diffirent rooms), it makes your fellow therapist look bad when she ends the session at the prescribed time and HER client sits there for 15 minutes waiting for a friend or spouse to emerge from YOUR room. 4. It can backfire and hurt the client relationship. While clients do appreciate extra work, unfortunately many people will come to expect extras, and if there is a time when you can’t deliver them, resentments occur. 5. It can hurt clients in following sessions. Since you haven’t emerged from your room to check, someone may have scheduled you another massage. You may have just worked into 20 minutes of someone else’s scheduled time and impacted their day and their health and state of mind. After speaking to my young therapist several times on this topic, she still insisted that she couldn’t get over feeling like she was “throwing clients off the table” and this made her “feel really bad.” I replied that although I empathized with her, I stood firm on the reasons stated above. And I shared a few things that I do in order to deal with my own empathy issues. For one, I start talking (murmuring, really) to the client about five minutes before the end of the session, explaining softly some things that I found, any suggestions I have for home care, and what I think we should work on next time. And in cases where more work is obviously needed, I often say things like “I wish we had another hour to work today” or “Your poor neck is still not letting go all the way; maybe next time you could book 80 minutes and we could spend a lot more time soothing those neck muscles.” Statements like these show I care. As do my large numbers of rebooks, return clients, and cards and notes thanking me for helping clients in their healing. Point is, I’m a pretty good therapist and can still be a good therapist even while living by that ratty clock. In massage school, when we students were wringing our hands over the inconceivable task of doing “all this in 50-55 minutes,” some instructors told us that if we couldn’t get the hang of it, private practice was probably a better option. On the other hand, that can have it’s special problems too. I once worked with a lovely, kind, motherly therapist whose bookings were not that high. Mystified, I got on her table, an experience which ended in epiphany. She was all over the board because she had no real plan. She had no real plan because she wasn’t watching the clock closely. And she wasn’t watching the clock closely, because she’d been doing her own home practice for over 20 years, and having been her own boss, she’d let the clock side. If there is no prescribed time, there is no real plan . . . so how do you ever know when you’re finished? She had been willing all those years to accept less money and take on more work for her body because the clock hadn’t been important (and because she was an angel). But in the end, that didn’t translate very well into a flowing massage or being a good team player. There are always rare exceptions to the clock rule. For example, a client who has an extreme emotional release at the end of the session may need a few extra minutes to be soothed and to come back down to earth. If another room is available, I’ve often let such clients stay on the table and compose themselves while I went and started the next session elsewhere. But for the most part, as I used to tell grammar students, you need to know a rule well before you can usefully break it. Learn to live in more harmony with the clock; it’s almost always to the benefit of everyone involved. This entry was posted in Building Your Practice, The Business Side of Massage on April 21, 2010 by Lynna Dunn. As always, I like your take on the topic. I work both for myself and as an employee. Although I sometimes go over time, I try to keep it reasonable and never let it negatively impact someone scheduled after. I think a lot of new therapists learn over time how to best manage a session including the client’s expectations and the clock. But practice makes perfect. It seems most people get the hang of it. I would add that the 10 minute difference between a 50 and 60 minute session is profound. Last thought, when I see that I’m likely to go over by more than 3-4 minutes I always check with my client to make sure that’s okay. This displays sensitivity to them. They may need to be somewhere afterwards that is not flexible. I don’t want to make them late, thinking I’m being “nice” by going over time. I’ve found that clients appreciate this. When I was in private practice, I used to run over the allotted time thinking as was giving clients an added bonus. Then it occurred to me that they may have some other obligation or appointment after their massage. So rather than doing them a favor, I was creating stress for them. I soon learned to ask if it was okay if I went a few minutes over. Most people said yes, but the ones who did not appreciated being asked.